CXII, 191 p., 17,3 x 24,4 cm. With an introduction by Thomas Duve. The lectures that Francisco de Vitoria (1483/1493–1546) delivered in 1535 in Salamanca, concerning the first five questions of the treatise on justice in Aquinas’s ›Summa Theologica‹ are key documents for understanding the renowned Spanish theologian’s works. 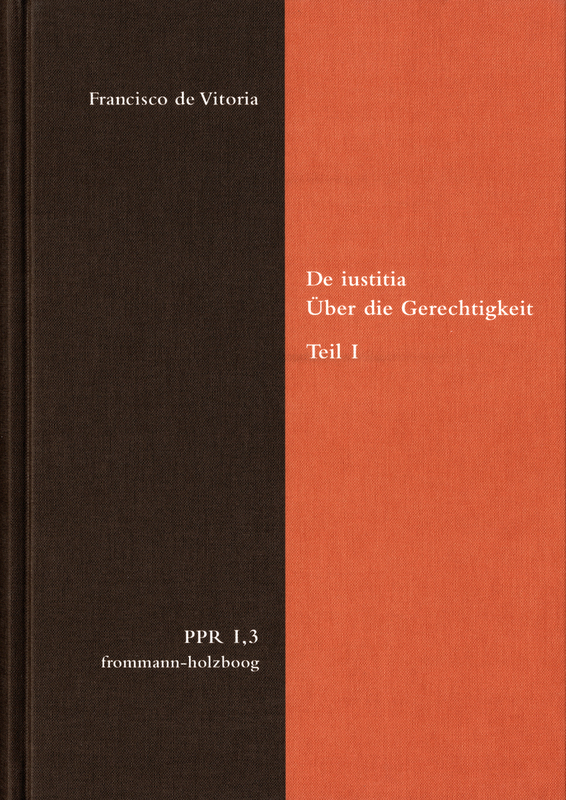 The main topics are justice as a virtue directed towards one’s fellow men, as well as its condemnable opposite, injustice, the law as the foundation of moral actions; jurisprudence as a public institution legitimatized by law as well as its manifestations as compensating and distributive justice. Vitoria interprets highly scholastic texts in light of the questions raised by Late Scholasticism, Humanism and Reformation. Despite being firmly rooted in Christian metaphysics, Vitoria, in the realm of systematization and phenomenology of law, develops trendsetting thoughts that are well ahead of his time. For example, he works out the supranational ruling function of the law of nations or the subjective rights of persons. This is what makes these texts appealing: Without being restricted to purely historical interest, they are testimonies of the transition from the Middle Ages to modern times.